Early in the morning fly to bahirdar. 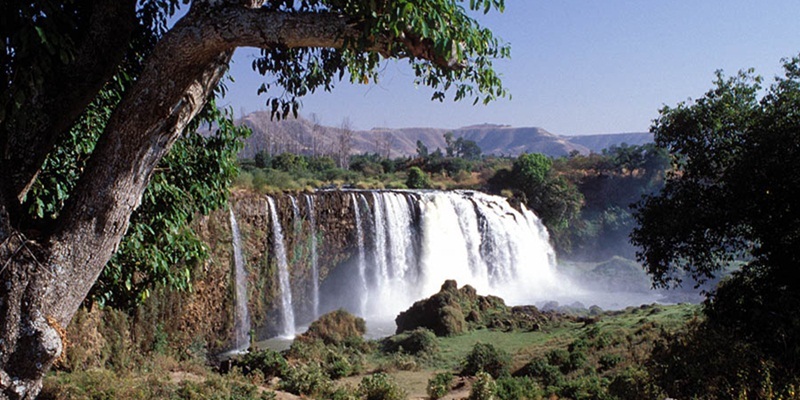 After check in to your hotel and after taking an early lunch, drive to the small town of Tiss Abay (32km rough road) to visit the impressive Blue Nile waterfalls, locally known as Tis Isat means in Amharic: ‘Smoke of Fire’. Walk around to see the 17th C. Bridge constructed by Portuguese missionaries. 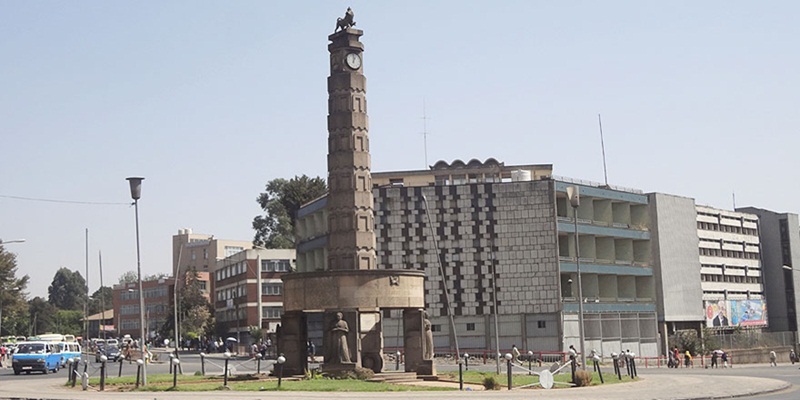 The country side occupied by Amhara people is worth visiting and here you can visit the small market at Tis Isat town. 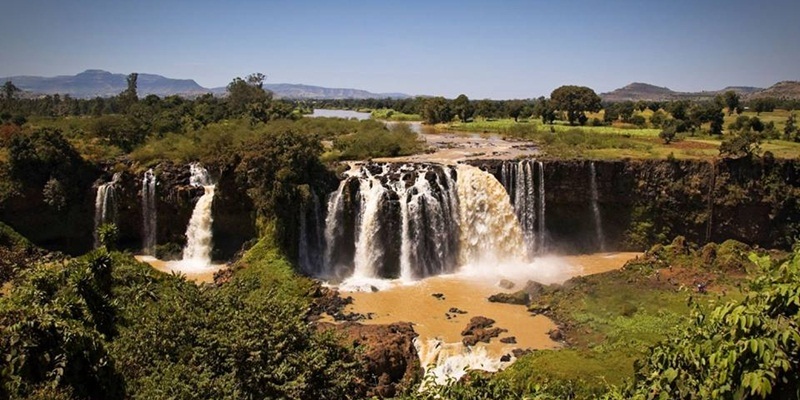 Then After, return to Bahir Dar & make city tour of Bahir Dar which includes: market where you can find the pottery, traditional hand-made woven clothes, and Woito Basket market. Overnight-at current best hotel-Bahir Dar. 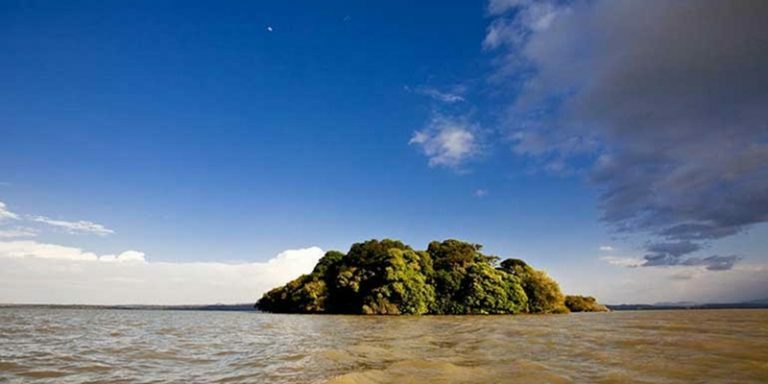 After breakfast, take a chartered boat trip on Lake Tana to visit monasteries (constructed during 14th up to 18th C.). You will visit only the most accessible and representative of the monasteries on the lake, still serving their original function: Ura Kidane Mehret, and Azwa Maryam (in Zeghie Peninsula), Kibran Gabriel (prohibited for women) & Entos Eyesus. Overnight-at the former hotel- Bahir Dar. After breakfast you will drive to Gondar. On the way you can witness the spectacular landscape scenery of the region. 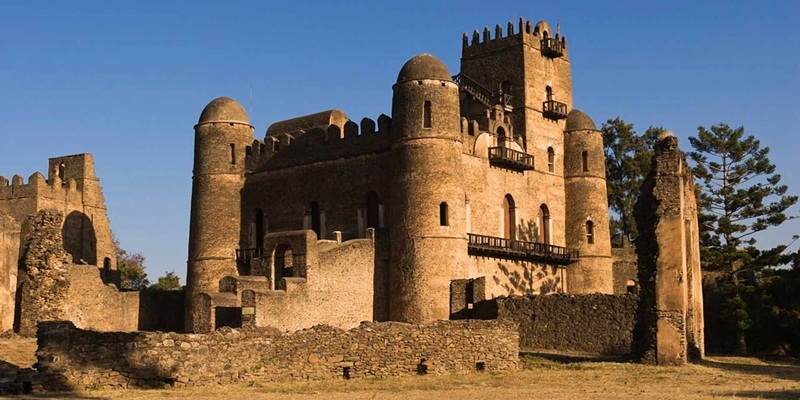 After your lunch and short siesta you will start the grand tour of Gondar. 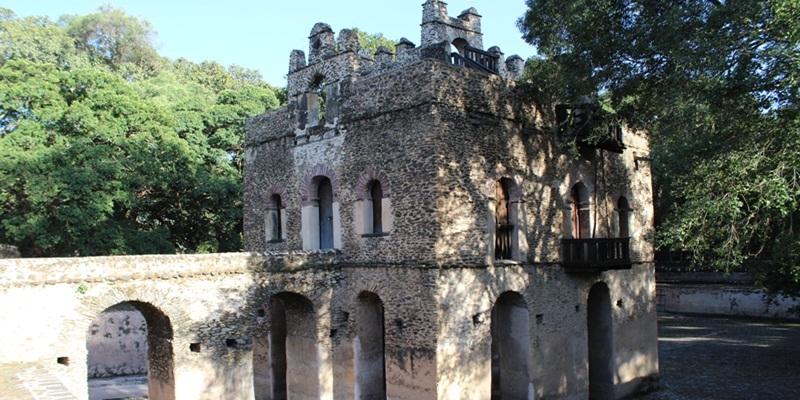 Here you can visit the 17th C church of Debre Birhan Silassie (Light of Trinity) unique in its wall painting (murals), the Castles of emperor Fassiladas(Fasil enclosure) and his swimming pool, and palace of Empress Mentewab( Kusquam complex). At night you will have a time to keep amused with cultural and traditional melody (music) of the region.the night clubs (Azmari bet) are famous here. Azmari singers with their one stringed instrument are incredibly clever at creating lyrics. Once they know your name you will be treated to an Amharic praise song about your generosity, intelligence and other compliments they can think of you. Overnight at chosen hotel Gondar. Trek to bwahit ras the second highest pick in the park (4430m), then trek back to meet the car at Chenek base camp to drive back to Gondar. Fly from Gondar to Lalibela. 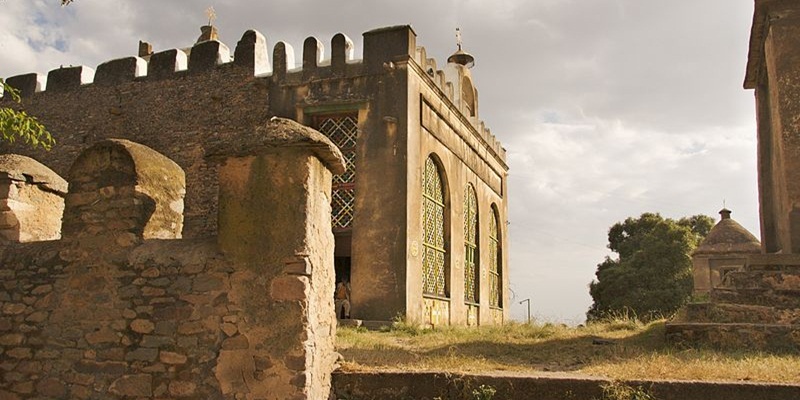 lalibela is renowned for its rock-hewn churches; these churches are so wonderful sometimes – referred as “The eighth wonder of the world.” After lunch visit the first group of six churches: (1st Bet Golgotha, 2nd Bet Mikael, 3rd Bet Mariam, 4th Bet Meskel, 5th Bet Danaghel and 6th Bet Medhane Alem. Bet Medhane Alem is the Largest Monolithic Rock Hewn Church in the world, built like a Greek temple! Inside, there are three empty graves symbolically dug for biblical patriarchs Abraham, Isaac and Jacob. Overnight at chosen hotel Lalibela. Early morning continue exploring the fascinating 2nd group churches (7th Bete Amanuel, 8th Bete Marqorewos, 9th Bete Abba Libanos, and 10th Bete Gabriel -Rufael and 11th Bet Giyorgis is the most elegant of all Lalibela churches, which lies somewhat isolated in the southwest part of the town on a sloping rock terrace. After lunch you will climb Asheten Maryam for a panoramic view of the region and a mountain Church named AshetenMariam. During the night you will have again a chance to test traditional and cultural Ethiopian melody in one of the traditional music houses. O/N at chosen hotel Lalibela. 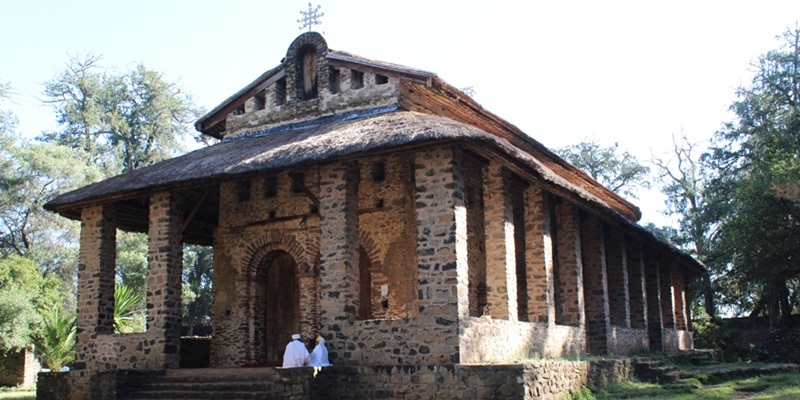 After breakfast, visit Nakuto Làabe Cave Church (5km from Lalibela) & the surrounding scenery then drive to the cave church called Yimrahine Kristos (42km from Lalibela). This Church has been constructed by King Yimrahine Kristos during 13th Century. In the church, there are more than 5000 (five thousand) dead human skeleton lying without any coverage for the past 700 years. They are supposed to be pilgrimages from Syria, Egypt and Ethiopia. The murals on the dark walls of the church and the forest around are very impressive and worthy to be visited. Overnight – at chosen hotel –Lalibela.